BMW started experimenting with electric drivetrains in 1969 when it asked its top engineers to design a battery-powered version of the popular 1602. The car took several years to complete and it didn’t make its public debut until the city of Munich, Germany, held the Olympic Games in 1972. The electric coupe worked as engineers had planned but it had many sizable drawbacks that were associated with the car’s hefty weight and extremely limited driving range. The lessons learned from the 1602 – and from a top secret all-electric LS-based sedan that came in 1976 – were applied to a new research project launched in 1981 that aimed to design and build an electric car equipped with a high-energy battery pack. 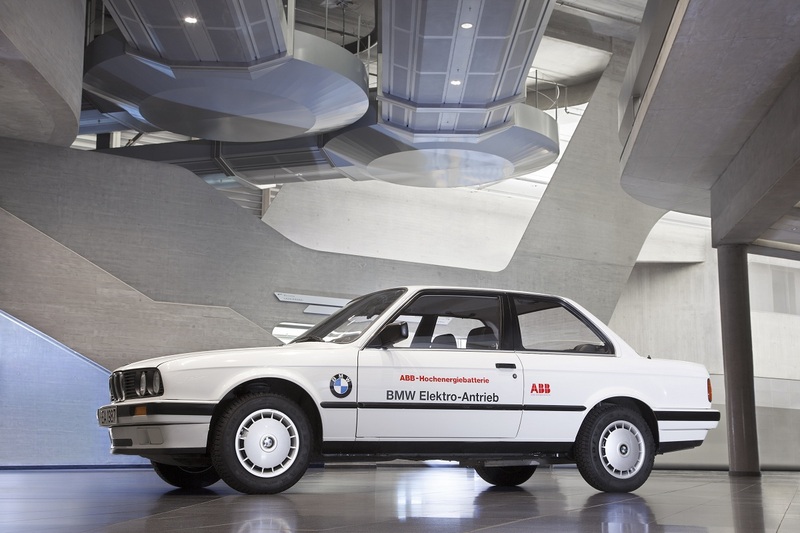 Once again, the drivetrain took years to develop and the first drivable 3-Series-based prototype was ready in 1987. Starting with an all-wheel drive 325iX, BMW engineers replaced the 168-horsepower gasoline-burning straight-six with a 17-kilowatt DC shunt-wound motor developed by Swiss firm Asea Brown Boveri (ABB). The motor got electricity from a then-new sodium-sulfur (NaS) battery pack that weighed 584 pounds (265 kilos). In addition to being maintenance-free, the NaS pack boasted three times the amount of energy than the lead-acid battery pack that was found in the electric 1602 while tipping the scale at 187 pounds (84 kilos) less. 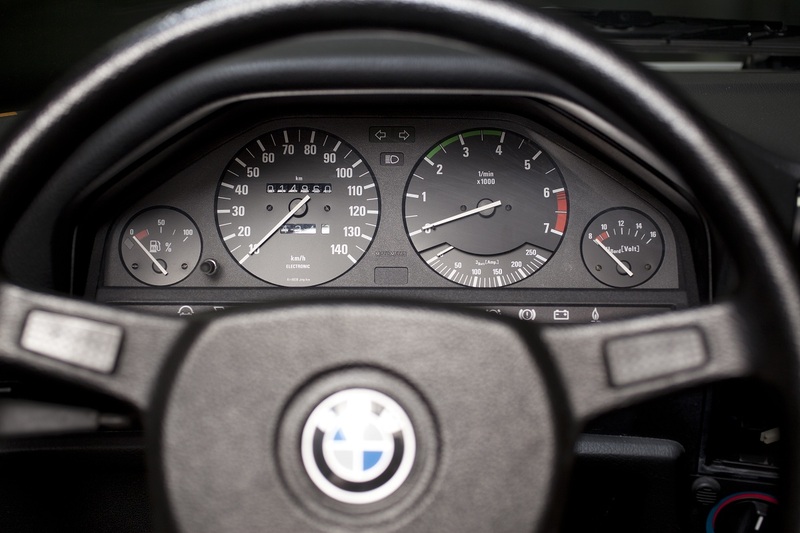 Another improvement built into the electric E30 was an electronic drive management system that monitored the charging process, the transfer of energy between the motor and the NaS pack and the drivetrains’s cooling system. Passenger comfort was increased thanks to the addition of a diesel-powered heating system. The electric 325iX took nine seconds to reach 31 mph (50 km/h) from a stop and it reached a top speed of 62 mph (100 km/h). It had a maximum driving range of 93 miles (150 kilometers) in city traffic. Visually, the 325iX Elektric was almost identical to its gasoline-burning counterpart but a careful eye noted that it was fitted with specific bumpers on both ends and that it was not equipped with an exhaust pipe. Since the drive components were mostly lodged in the engine bay, the cockpit stayed the same but the instrument cluster included three gauges not found on the gasoline-burning iX: A power gauge, an amp gauge for the battery and a volt gauge for the motor. Several EV-only warning light were cleanly installed below the cluster. The eight 325iX-based test mules built between 1987 and 1990 were the first electric BMWs to be tested in a real-world situation by an outside company. Some were loaned to national and local governments and a Touring-based prototype was even used as a delivery vehicle by the German postal service. The 325iX Elektric was never considered for mass production but the data gathered by the pilot programs was used by BMW Technik to design the E1, the automaker’s first-ever purpose-built EV, that was presented to the public at the 1991 Frankfurt Motor Show. All photos courtesy of BMW’s Classic Center. This was very interesting. More than a decade ago!